I'm pretty picky about my coffee, but I think that comes with the territory of living both in Seattle and a part of the country where, in the winter, the sun doesn't rise until 9am and it starts setting at 2:00. Oh geeze, I didn't mean to get off to such a negative start there… oops. Hey! We have the most gorgeous summers in the whole United States! Positivity! As I type this I'm sitting on my couch staring out at clear blue skies, Mt Baker and float planes taking off & landing in Lake Union. How many of you can say you did THAT today? Well, minus the 3 million-ish inhabitants of the Seattle Metro area. Right, back to the coffee. As you can probably tell, I may have had a bit too much of it this morning. It's pretty easy to overdo. 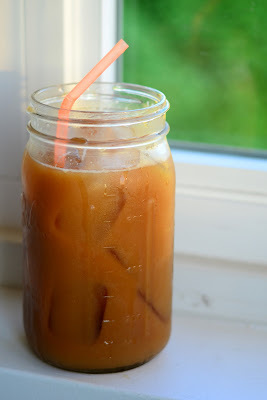 Not only is iced coffee much more concentrated, when it's mixed with some almond milk and a little bit of stevia extra… it's incredibly hard to stop myself. It also doesn't help that I refuse to drink it in anything other than my treasured possibly-stolen-from-The-Cabin mason jar! FOCUS. I had seen "recipes" (I use that term incredibly loosely) floating around the internet for a while now. 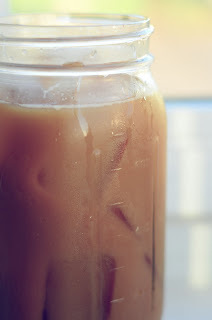 As I usually order iced coffee from Cafe Ladro as much as possible in the summer, I figured making it at home would save me a small fortune. 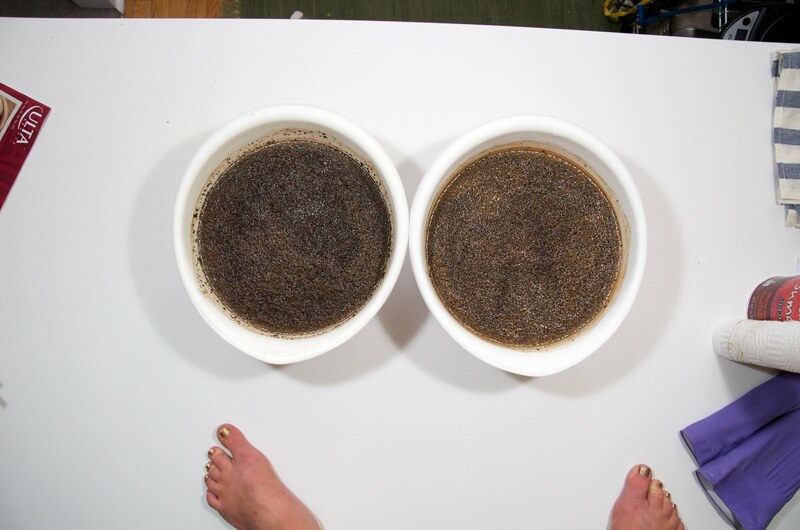 It's pretty simple: stir together some coffee grounds with water, let it steep while you sleep, strain, & BAM. MAGIC. 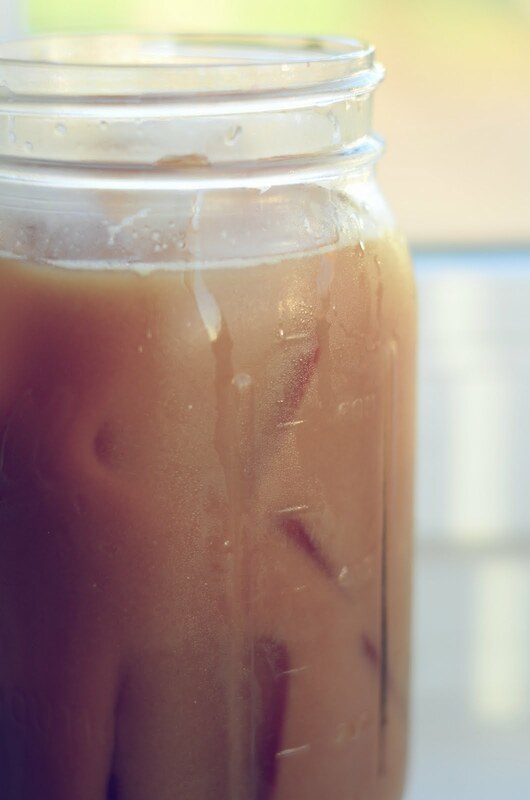 As the name suggests, iced coffee is served over ice so all that magic you just made lasts forever. For me at least 1 billion dollars at the coffee shop worth. Sadly, as summer and kinda coming to a close, I'll have to start making the switch back over to Americano's. Who wants to be my sugar daddy and either serve me Americano's in bed every morning or buy me an espresso machine? I'm really not too picky. Standing on high counters + living alone = bad idea. Crisis = averted. Sorry, Mom. 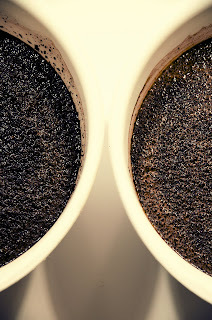 Combine the ground coffee and cold water in one very large container or split equally between two bowls. Stir well so that all of the coffee grounds are moistened. Cover and let the mixture sit at room temperature for 8 hours or overnight. Line a fine mesh strainer with cheesecloth. Pour the coffee-water mixture through the sieve into storage containers to remove the grounds. Store the coffee base in the refrigerator to keep chilled. Pour over ice, stir in your favorite milk or milk alternative and sweetener of choice. Sip & saver. fyi, im already making this :) i cant wait for morning! Hey darlings. 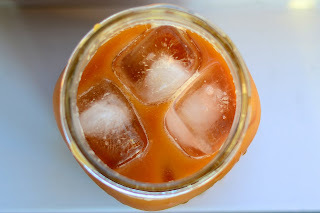 I find it works better if you make the ice cubes out of coffee or cappuccino.